A.) 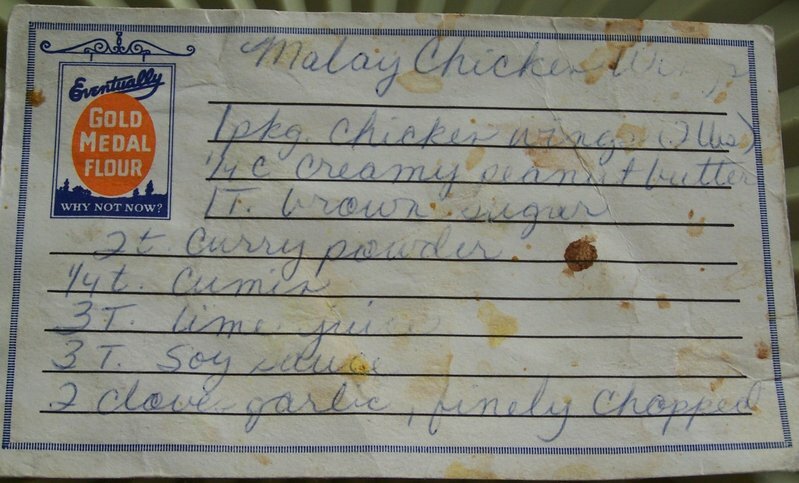 How long I've had this recipe? B.) What a messy cook I am? C.) That this is one of our all-time favorite recipes? YES to all of the above! If you can read the recipe, you'll notice that it uses two pounds of chicken wings, the half tray (8x6??) It has been years since I've made that amount! I used to double it when the boys got a bit older, then I tripled the sauce because everyone wanted extra sauce to put on their rice. For the past six months or so, even that wasn't enough and at the end of the meal everyone complained it was gone, or husband would ask the next day "Aren't there any leftovers?" So tonight, I sixtupled it - which means two large four+ lb. trays with plenty of extra sauce!! (Yes, for those in the know, the misspelling of sixtupled is intentional.) Wow! Even all my hungry boys can't fnish that! So here is the basic recipe doubled, for those with the average family, because my husband could eat the single recipe by himself! But please know that you can halve it or even double this if your family is large enough! 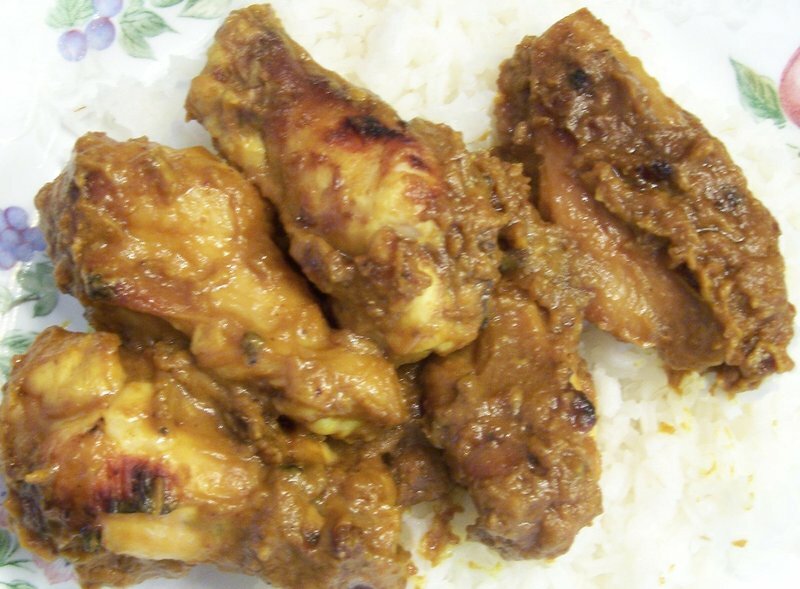 Cut chicken wings at the joints and discard tips. Rinse in strainer and set aside. In large bowl, mix all remaining ingredients until smooth. Stir in chicken to coat. At this point you can leave it to marinate in the fridge for overnight, for a few hours, or you may use it immediately. To bake, set oven to broil. Spread chicken in large foil-lined pan (metal cookie sheet or baking pan) and broil chicken 4-6 inches from heat for 7-8 minutes, then turn chicken over and broil for 7-8 minutes more. Serve over rice and ENJOY! !